Archer Pilates was formed by Melanie Archer after years of searching for a source that would tone her and keep her happy with her work. 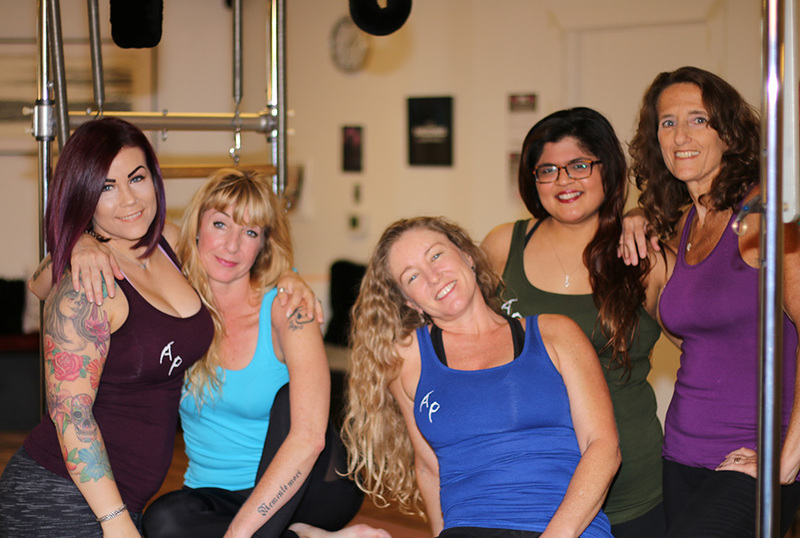 Archer Pilates offers a variety of Group classes along with flexible, private instruction sessions and is conveniently nestled in the Dinah’s center. Archer’s Method of Pilates is defined by its unique ability to match her clients’ needs with their level of approach, along with focusing on accomplishing the goals of each and every client. We all are special in one way or another. Knowing that simple fact is why one series of exercises is not effective for every body. At Archer Pilates you will never perform a set routine in a private or group setting. Our one-on-one private training sessions are developed by our expert teachers with custom exercises and personalized sequences to accommodate and challenge each body: angles are adjusted, props are used, movements are dissected, modified, built upon, and perfected. This detailed and individualized approach to fitness ensures access to every muscle, resulting in a long, lean, healthy body. Rather than employing existing movement patterns that use already dominant muscle groups, Archer Pilates adjusts imbalances and retrains the neuromuscular system, affecting body-changing results. As problem areas are improved, pain will decrease. You will stand taller and look longer and leaner. You will move with grace and ease. Your tailor-made program begins with the thoughtful matching of client to instructor. As Master Trainer, Melanie has personally tested, trained, and supervises each instructor. Instructors receive 500+ hours of training before being certified. This helps provide a consistent Archer Pilates experience from class to class that is valued by our clients. The already well-informed staff is kept current through continuing education workshops, allowing them to pull from a deep knowledge of Pilates, anatomy, and a variety of mind-body movement practices including yoga, dance and weight training. Archer Pilates also has its background in various other fun and interesting training that tantalize the senses. Archer Pilates utilizes the art of Zumba and Yoga as a coupling way to aid in creating the new you. Combining this individualized attention with the most knowledgeable and experienced staff equates to you having found the best Pilates center in Westchester, Culver City, Playa Vista and Los Angeles.